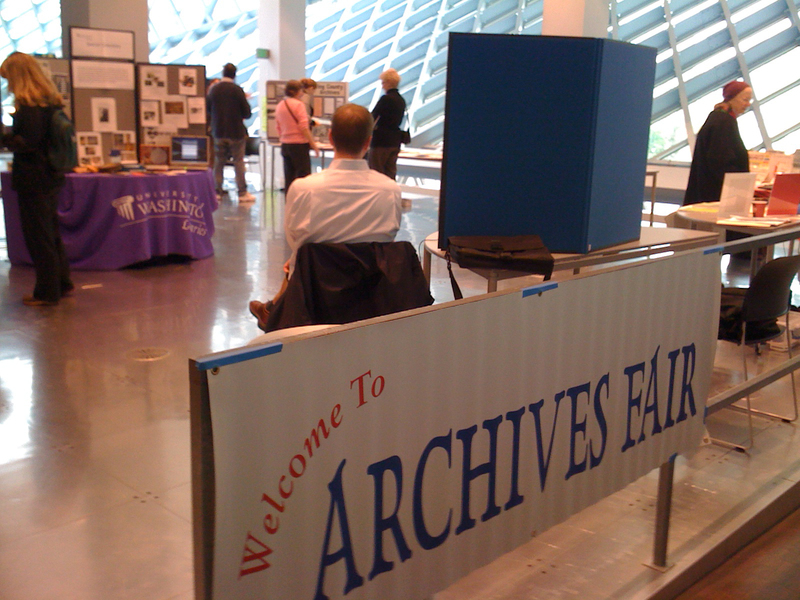 Thanks to everyone who came to Seattle Area Archivists Archives Fair last week. We had 11 repositories participate and over 100 fair-goers (by some estimates). Some of those who stopped by to talk to archivists were just passing by and curious about what was going on, but others had specific questions they wanted to pose to the experts! All in all, it was a successful event and we hope that next year will be even more so. 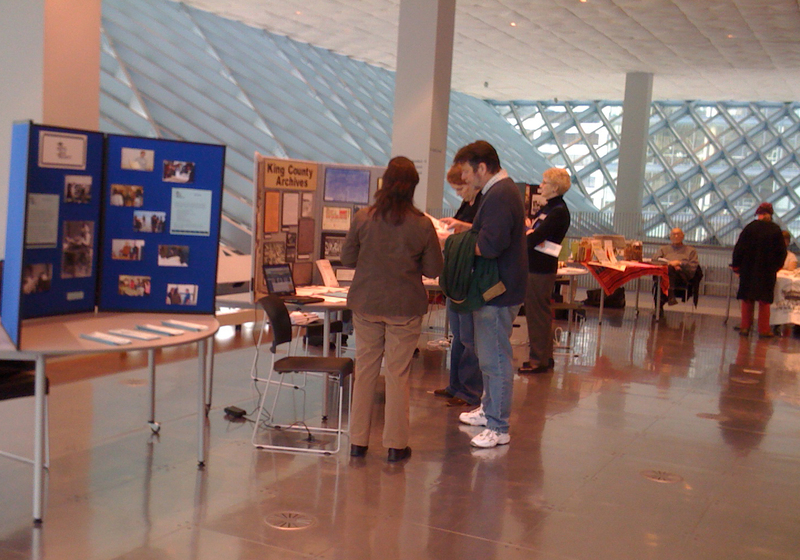 Thanks to Seattle Public Library for hosting the event and to Janette Gomes for organizing! Here are a couple of photos from last week’s Archives Fair. Anyone have others to share?